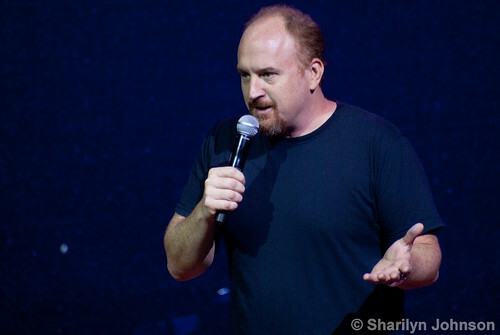 Anyone who follows Louis CK online by any means – his blog, Twitter, posts on AST, etc. – knows that he puts a lot of thought into his communication with his fans, whether it be for informative purposes or for entertainment. The last to get this memo? The Huffington Post. Louis tweeted up a storm yesterday, during one of his “drunken” twitter rants. He’s done this before, and it always involves cracks about Sarah Palin’s nether-regions that are so straightforwardly douchey that you have to lol. The “angry drunk tweeting” shtick is entertaining. He knows it’s entertaining. And he knows that because he’s not actually a crazy drunk person. But the Huffington Post, trying to hold onto what dignity it once had as a legitimate news source, has decided to frame this scandalous drunken twitter rage as an actual scandalous drunken twitter rage. They’ve posted screencaps of the offending tweets, along with a concise play-by-play of the events. Huffington Post, you sweet little thing. *pat* *pat* I’m going to let you in on a secret: sometimes, comedians say things known as “jokes”. It’s what they make their living doing. And sometimes, these jokes aren’t real. I know, I know, it’s shocking! Imagine my horror when I learned that Jerry Seinfeld didn’t lose a sock in the dryer EVERY time he did laundry. I think the lesson here is obvious: comics, just stick to pimping out your tour dates and nothing else. Because according to the HuffPo, tweeting is serious business.